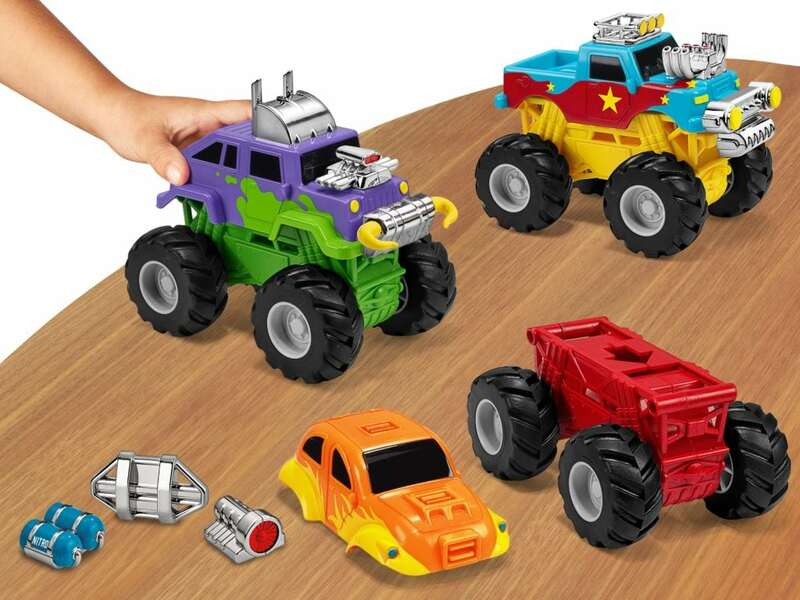 Get ready for some big-wheeled adventures with Snap & Design Monster Trucks. Kids will love designing and building impressive monster trucks as they mix & match oversize truck bodies, chassis with massive wheels and stylish accessories—in lots of combinations. Just pull back each finished truck…let it go…and watch it zoom into action. Includes 3 monster truck bodies, 3 chassis and 9 truck accessories.